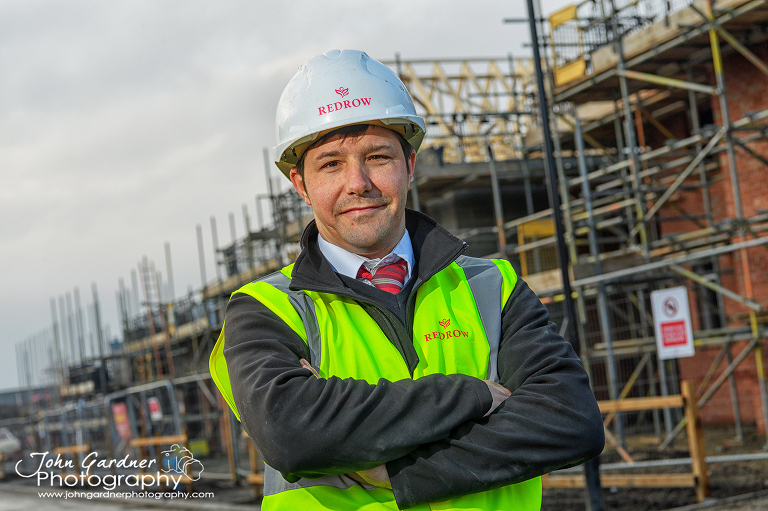 Back after the Christmas break and my first job as a Wakefield commercial photograoher was to create osme press and PR images for Redrow Homes. 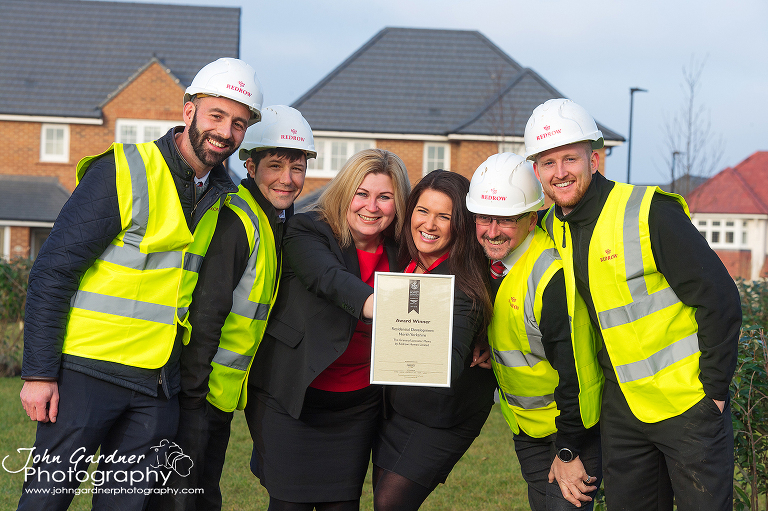 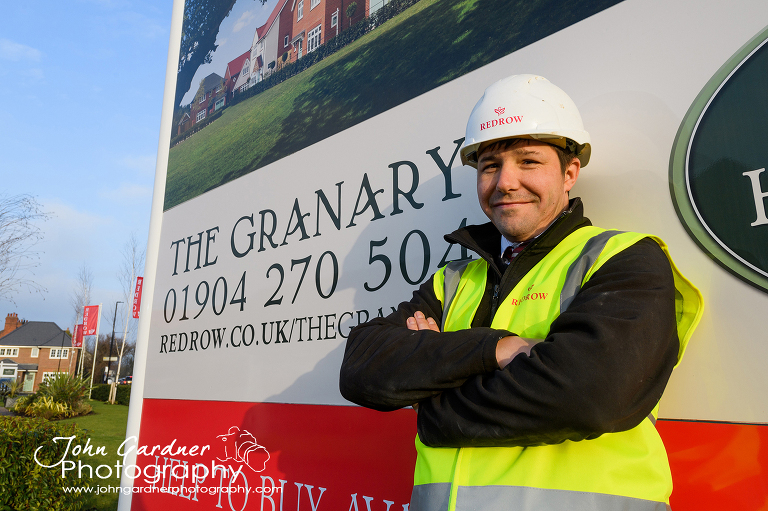 The brief involved photographing the team at The Granary, York who have picked up an award for the best residential development, along with photographing the assistant site manager who has collected the Redrow award for best customer services. 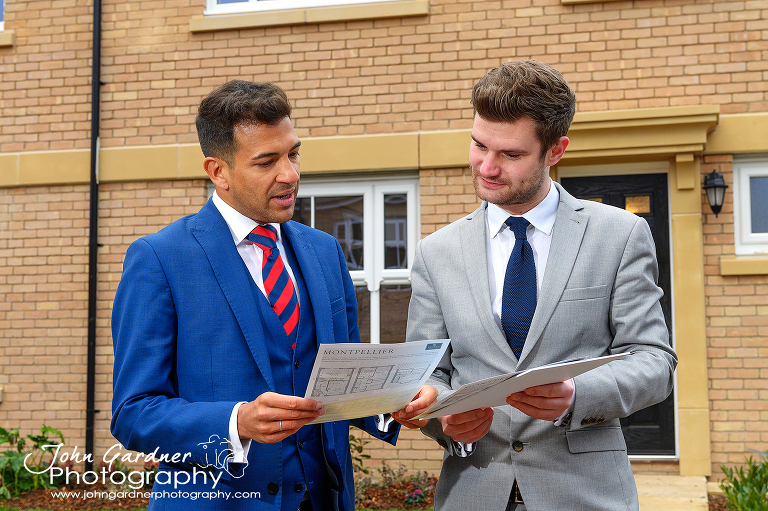 Just ahead of this shoot, I called in at the Newton Kyme development near Boston Spa to photograph the sales team to go with an article about the last five remaining houses for sale there.All standard stuff fo me, creating team and individual images on location, and I used my usual set-up of a speedlight into a small octabox to give a nice fill to the images.